The best ebook reading app for your iPad or iPhone depends mostly on where you get your ebooks. Each of these apps have basically the same features, so the main issue to consider is the type of ebooks that they support. All of the major ebook sellers have their own ebook app that works only for their ebooks. You can put lots of different ebook apps on your device, though, so that’s not really a problem — it just means that you probably won’t be able to stick to one single app unless you commit to only buying ebooks from one source. If you have a favorite ebook app for iOS, mention it in the comments along with info about what types of ebooks it can use. iBooks is Apple’s native ebook app for iOS. The only thing that’s really important to know about this app is that it is mainly meant to be used with ebooks that you get from Apple’s iBookstore, and won’t work with ebooks that you purchased elsewhere, unless they don’t have DRM. Use This For: eBooks you purchase in Apple’s iBookstore. Your own PDF, ePubs, or books you created in iBooks Author (only non-DRM). iBooks textbooks are only available for iPad. Use This For: Kindle ebooks that you buy at Amazon.com. This is the app from Barnes & Noble that you can use to read your Nook ebooks on your iPad or iPhone. It is only made to read Nook ebooks that you get from Barnes & Noble. That includes all of the magazines that they sell as well. Use This For: Nook eBooks from Barnes & Noble. This is the app from the ebook company Kobo. You can use it to read ebooks that you buy from Kobo, as well as your non-DRM PDFs and ePubs. Kobo is also putting a lot of focus on “social reading” so this app has more of that than apps from other companies. Bluefire Reader is a great app because it fulfills a need that all the other apps do not: it supports Adobe DRM, so you can read your DRM-protected PDFs and ePubs. If you like to shop at independent ebook stores, this is the ebook app for you. It also reads standard non-DRM PDFs and ePubs. See my Bluefire Reader page for instructions on how this works. Use This For: DRM and non-DRM PDF and ePub ebooks. Overdrive Media Console is the app to use for your ebooks and audiobooks that you get from the library. Check with your local library to see if they have ebooks and to get help or technical support. Use This For: Library ebooks and audiobooks. The instructions below guide you through the steps for installing Bluefire Reader for Android on your Kindle Fire. Note that you should open this page in the browser on your Kindle Fire before you begin. 2) The latest version of Bluefire Reader (Version 1.2.3) will be installed on your Kindle Fire. However, the app is not automatically updated. You will need to check back here from time to time to see if there’s an updated version of Bluefire Reader for Android available. 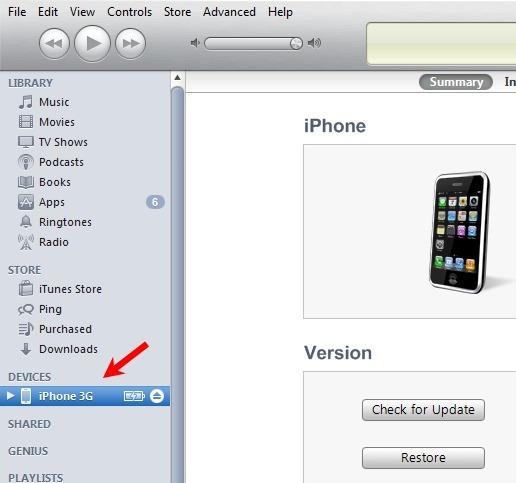 3) This shortcut is offered as is–without any warranties or support. This is fantastic for users because it means you can read your Adobe DRM ebooks (PDF and ePub) on your Kindle Fire tablet. But while this is an excellent set of instructions for side-loading Bluefire Reader onto your Kindle Fire, I wonder if it’s too complicated for the average user. They even include a note saying that they’re not going to offer support for this. If you have tried this, what did you think of it? Was it easy or difficult for you to do? It’s really unfortunate that Amazon (and Barnes & Noble as well) aren’t allowing all apps from the Android Market to be installed on their tablets the normal way. In wanting to force people to use their own apps they’re just crippling their own devices. There are lots of people who unwrapped shiny new eReaders over this past Christmas weekend. This blog is largely written for those who are new to the world of ebooks and e-reading devices, so I try to help folks out with learning the basics. Perhaps the best place to start might be with my post of eBook Terms for Newbies. That will help you get familiar with some commonly used terms that you might not have been aware of before. Making yourself comfortable with those terms will help you when you start trying to follow instructions for downloading ebooks and using your eReader. Last year I wrote a post titled “You got an eBook Reader as a gift. Now what?” It gives you a solid set of guidelines to use when learning how your new eReader functions. I really recommend reading that if you’re using your first eReader. The information will help you avoid many of the common problems that people run into, and it should also generally help you learn how to work with your eReader. My “Top 5 Reasons Why Your eBook Isn’t Opening” is a good place to look when you’re having trouble. It covers hardware issues, software issues, and DRM issues. Adobe Digital Editions — An overview of authorizing and using the program. How To Authorize Your eReader for Adobe Digital Editions — Step by step instructions. ACSM Files — What they are and how to work with them. Hint: they are not ebooks! How To Change the Authorized Adobe ID — Learn how to switch the Adobe ID that your computer is authorized with. If you’re using a new iPad, iPhone, or iPod Touch, and you want to read ebooks with Adobe DRM (that were not purchased through Apple’s iBooks) I recommend Bluefire Reader. 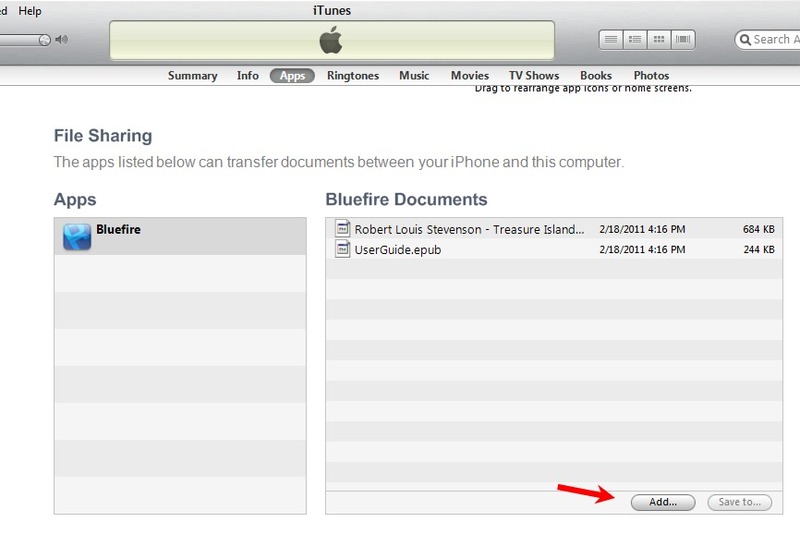 My Bluefire Reader post has really detailed step-by-step instructions for how to authorize it and how to transfer your ebooks to your device through iTunes. Likewise, if you’ve got a new Android toy (smartphone or tablet) you can take a look at my post about Aldiko, the recommended app for ebook reading on Android. If you’ve got pretty much anything other than a new Kindle, you can download some free ebooks here. That’s a great way to test out your eReader since if you make a mistake it won’t cost you anything. 1. Learn which ebook formats your device is able to read. 2. Before buying any ebooks, make sure the website you’re using can support your eReader. 3. Take a moment to read your manual and learn the basic functionality of your eReader. 4. Always follow posted instructions! Don’t skip anything. With all of the work I do on a daily basis involving ebooks and the devices that read ebooks, it can be easy to forget that there are a lot of people out there that haven’t ever used an ebook. If you’re new to ebooks you might be totally confused and overwhelmed with all of the unfamiliar terms that are used. This list will give you an introduction to what you’re most likely to run into in today’s world of ebooks. Some of these terms reference each other, so just look elsewhere in this list for the explanation of terms in italics. Adobe Digital Editions – This is a program developed by the company Adobe (the same company that brought you Adobe Reader and Adobe Acrobat, as well as Photoshop and Flash, etc etc). This particular program is made specifically to work with Adobe’s DRM system for ebooks. It also lets you view PDF and ePub files. You can download Adobe Digital Editions here, and read more about it on my Adobe Digital Editions post. Adobe ID – If you’re going to buy PDF or ePub ebooks from a website, those protected by Adobe’s DRM will require that you authorize your copy of Adobe Digital Editions with an Adobe ID. This is the same Adobe ID that you use if you purchase downloadable software from Adobe. It’s best to only use one Adobe ID so that you don’t mix up multiple accounts (doing that will result in ebook licensing errors). You can create an Adobe ID here. Aldiko – Aldiko Book Reader is an app for ebook reading on Android smartphones and tablets. Download Aldiko here, and see my post about Aldiko here. Aldiko will read ebooks with Adobe DRM, and also plain PDF and ePub files. Android – Android is an operating system that runs on mobile devices like smartphones and tablets. See the Android Wikipedia page for more information. App – “App” is short for application. This has become a standard word to describe small software programs that are used on smartphones and tablets. This includes ebook apps like Aldiko, Bluefire Reader and iBooks. Authorize – Reading ebooks that are protected by DRM usually requires that you “authorize” your software with a user account. When working with Adobe’s DRM, you must authorize with your Adobe ID account. Authorization is similar to registering your software. It is the way in which the software recognizes that you are the person who purchased the ebook and legally have the right to use it. It allows you to use your ebooks on more than one computer or device. BeBook – BeBook is a popular brand of eReader and tablet devices. BeBook models include the BeBook Neo, BeBook Club, and BeBook Live tablet. Bluefire Reader – Bluefire Reader is an app for reading eBooks on iOS. You can download Bluefire Reader here, and read my post with instructions here. Bluefire Reader will read ebooks with Adobe DRM, and also plain PDF and ePub files. DRM – DRM stands for Digital Rights Management. It is digital security that protects a publisher’s legal copyrights by preventing users from illegally pirating ebooks. Adobe provides DRM that is commonly used by ebook sellers. eBook – eBook is short for electronic book. eBooks are books in digital format that can be read on your computer or mobile devices. E-Ink – E-Ink is short for electronic ink. It is the technology used in many eReader devices. These devices use matte screens (non-glossy) that are engineered to display words as if it was ink printed on paper. ePub – ePub is the current open ebook format that is standardized by the International Digital Publishing Forum (IDPF). ePub files come with the .epub file extension and can be read with a variety of different ebook programs and e-reading devices. They are easy to use and create. See my post about the best free ePub readers. eReader – eReader is short for electronic reader. It usually refers to devices that are used to read ebooks, such as the Amazon Kindle, Barnes & Noble Nook, and many others. Format – “Format” refers to the type of ebook. The most common ebook formats nowadays are PDF, ePub, and Kindle. Different eReaders can use different formats, but most can use PDF and ePub. The Kindle can generally only use special Kindle ebooks with the .azw extension. Format also can be used to describe books in print, such as “paper back” or “hard back”. It’s also the same way different music media are described, such as the familiar “CD” or “mp3”. All of these terms describe different formats. iBooks – iBooks is the native eBook reading app on iOS devices. You can purchase eBooks for iBooks through iTunes. iOS – iOS is the name of the operating system that runs on mobile Apple devices: the iPad, iPhone, and iPod Touch. Kindle – The Kindle is the eReader developed and sold by Amazon. It is the most popular eReader available today, mostly due to Amazon’s excellent marketing of the device, and the ease of purchasing and downloading eBooks for it from Amazon.com. Kobo – Kobo is the company that sells Kobo eReaders, including the original Kobo eReader, the Kobo eReader touch, and the Kobo Vox Tablet. Nook – Nook is the name of the eReaders sold by Barnes & Noble, including the Nook 1st Edition, Nook Touch, Nook Color, and Nook Tablet. PDF – PDF is a popular eBook format. PDF eBook files have the extension .pdf. When not protected by DRM, PDF eBooks can be read in generally any PDF-reader software. If protected by Adobe’s DRM, they must be opened with Adobe Digital Editions. Sony Reader – Sony has released many eReaders under the Sony brand, most of which have model names that start with “PRS”. Tablet – A tablet is a flat, slate-like electronic device. They are very similar to smartphones, often evening running the same software, just in a larger physical size. Popular tablet models include the iPad, Samsung Galaxy Tab, Kindle Fire, Motorola Xoom, and many others. These tablets make excellent eBook reading devices with their larger screens and availability of ebook apps. I was looking through the stats for this blog and noticed some themes in the search terms that people use to get to this website. I know that posting those just perpetuates the same information, but I want to make sure that people get to the correct pages to find answers to their questions. Please see my post about .acsm files to learn everything you need. In a nutshell: they must be opened with Adobe Digital Editions. You can’t convert them to any other file type. Adobe has a big list of all of the e-reader device types that they support. Check that to see if your device is included. As far as I know, they allow you to authorize up to 6 computers and/or devices with the same Adobe ID. If you’re getting an error message that says the ebook was already licensed to a different user, that means you’re using the wrong Adobe ID. Another group of search terms has to do with Android-powered tablets. The ebook reader app that I recommend for all Android phones and tablets is Aldiko. The post I wrote about it explains how to use it. It supports Adobe DRM and non-DRM ebooks. For that, I recommend Bluefire Reader. Like Aldiko, it supports DRM and non-DRM Adobe ebooks. See my fabulous Squidoo lens for information about eReaders vs Tablets. Why have ebooks grown in popularity? I think the biggest boom came when Amazon released newer versions of the Kindle. After that, more and more e-readers became more popular. eBooks have been around for a long time, but Amazon managed to make the Kindle a household name, and that boosted the entire ebook industry. .azw is the file extension of a Kindle ebook. If you want to read that on your computer, you can use the Kindle app. If you just want to learn about “possible ereaders” then you should check out my eReader Comparisons page for an overview. My eBook Software page covers all of the ereader formats that I’ve reviewed so far. I usually don’t like to repeat news stories that I’ve seen on other websites. That’s not really the purpose of this blog. But I thought it was worth mentioning that it’s been reported that there will be a version of Bluefire Reader for Android. I like Bluefire Reader because it’s compatible with Adobe DRM ebooks and library ebooks. It was the first real solution for Adobe DRM on iOS devices (iPad, iPhone, iPod). It is easy to use, has all the same features that are now expected of ebook reader apps, and it’s free. Android devices are quickly becoming popular and widespread, first with the many Android mobile phones that were released, and now with Android-based tablets that are coming out like the Motorola Xoom and Samsung Galaxy. Since Android devices aren’t directly connected to a big book company (such as Amazon, B&N, etc) users aren’t stuck with one ebook source. This makes Bluefire Reader an excellent option for Android because it allows the user to read ebooks from smaller ebook stores. I haven’t read any specific release date, but I’m sure it will be in the Android Market whenever it is ready to go. If you want to read ebooks that are protected by Adobe DRM on your iOS device (that includes iPad, iPhone, and iPod Touch) the app I recommend is Bluefire Reader. Most of the ebooks being sold by mainstream publishers that are in PDF or ePub format are protected by DRM. Book publishers, just like music publishers, are concerned about software piracy, so they require ebook stores to use Adobe’s DRM on the ebook downloads. Programs like Adobe Reader and other standard programs or apps that read PDF files aren’t set up to deal with that DRM, so you need an app that can handle it. 1. Follow my previous instructions for how to set up Adobe Digital Editions correctly. You’ll need to install it and then “authorize” with your Adobe ID. 2. Get the Bluefire Reader app for your iOS device. Download it from iTunes and install it on the device. 3. The first time you open Bluefire Reader, you’ll be asked if you want to authorize it with your Adobe ID. You should go ahead and do it. Just follow the instructions given. Make sure to use the same ID that you used when you authorized Adobe Digital Editions on your computer. That is how Adobe will allow you to use your ebooks on both your computer and the iOS device. 4. If you haven’t already, get an ebook that you want to read. Note: This will only work with iOS 4 or later. If you have an iPad you should already have that, but if you have an older iPhone or iPod, update the OS so that you can transfer files from your computer to the device. a) Connect your device to your computer. Obviously if you have an iPad it will say “iPad” or whatever you named your iPad, etc. e) Now you can find the ebook that you want to transfer. If you bought a DRM-protected Adobe PDF or ePub file, it should be in a folder called “My Digital Editions”. Any non-DRM ebooks will be wherever you put them on your computer. It might sync to your device automatically or you might have to perform a sync on your own. After that you should be able to open Bluefire Reader on your device and see the ebook. I recommend that you find ePub files rather than PDF whenever possible. It seems that most e-readers and ebook apps display them a lot better because ePub files are reflowable, which means that the text of the book can rearrange itself to accommodate your screen size much easier than in PDF files. If you need help with Bluefire Reader, they have a good User Guide and other help information.